Yesterday, another hidden, miniature sculpture appeared in the streets of Budapest. 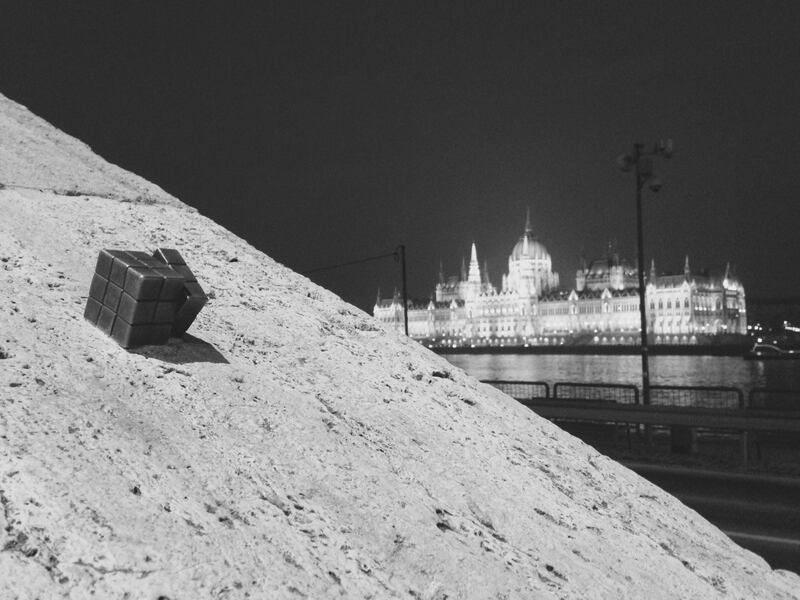 Guerilla-sculptor Mihály Kolodko’s new tiny bronze Rubik’s cube can be found on the stairs leading to Batthyány square. 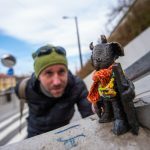 In 2016, Kolodko placed his first miniature bronze statue depicting Főkukac (Boss Worm) from the iconic 1980s Hungarian cartoon, A nagy ho-ho-ho-horgász (The Great Angler), in the Hungarian capital. The miniature worm overlooks the city from the banks of Buda and when it gets cold, people tend to adorn the statue with tiny scarves and hats. The miniature figures scattered across Budapest are so popular that many are stolen right after being placed on the streets, like the figure of Mekk mester (Master Mekk), the main character of a popular Hungarian puppet-show from the 1970s. Just after a month of being in Széll Kálmán square, someone took the small bronze figure home.The artist has since taken precautions to ensure his statues are no longer removed. Some of the artist’s creations are of other cartoon figures such as Kermit the Frog and the Kockásfülű nyúl (The rabbit with checkered ears). When getting off the tram at Batthyány square, one can spot another of Kolodko’s creations. A miniature tank commemorating the 60th anniversary of the 1956 Revolution sits just across from the Parliament on the Buda side. 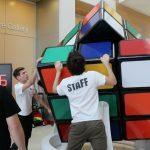 In April, Kolodko’s statue of Hungarian composer Ferenc Liszt was unveiled at Liszt Ferenc Airport. The tiny figure sits on a concrete base in front of Terminal 2A. Kolodko opened an exhibition of his miniature artworks in the Lajos Katona City Museum in Vác earlier this month. Közelebb (Closer) is open to visitors until 2 March.